We protect human health and the environment by monitoring wildlife, plants, water quality, and air quality. Workers prepare for a sampling campaign on the Rio Grande in White Rock Canyon near Los Alamos, NM. Crews take environmental samples at numerous locations along the canyon from Otowi Bridge to the Cochiti Reservoir. 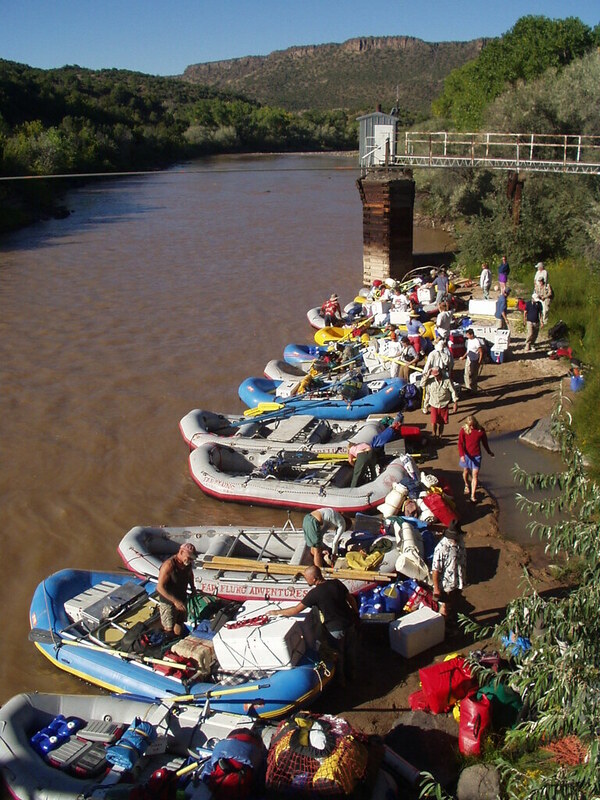 The rafts carry people, camping gear, equipment, and coolers that keep the samples at required temperatures.